Let the word of God control your values, your ideas, your opinions, your choices. "Let the word of God control your values, your ideas, your opinions, your choices." I want to share something with you today just before we pray. In Romans 12 verse 2, the bible says And be not conformed to this world but be ye transformed by the renewing of your mind that ye may prove what is that good, and acceptable and perfect will of God. Romans 12 verse 2, the bible says And be not conformed to this world but be ye transformed by the renewing of your mind that ye may prove what is that good, and acceptable and perfect will of God. Then He tells you how to have that transformation; by the renewing of the mind. This means changing your way of thinking through the word of God. Let the word of God give you a new mindset. Let the word of God control your values, your ideas, your opinions, your choices. There are a lot of people who have their own opinions. They have their own set of values that are not governed by the word of God. But as God's children, we are new creations in Christ Jesus. We belong in a different kingdom, God’s Kingdom; and the life that He’s given us to live is different from that known by the rest of the world. But if you are carnally minded, you will act and think like the world. .
God wants us to be spiritually minded. He wants us to think like Him; like those who are in His Kingdom. So He says not to be conformed to this world but to be transformed by the renewing of the mind. You renew your mind through the word of God. Then only can you think differently and in consonance with how God wants you to think; through His word. If we study the word of God, we will have His way of thinking, His mindset. And we will see things from God’s perspective. That’s what He wants. I want to pray for you now. And I pray, that God’s Spirit rest upon you in a very special way; that the Hand of God will come upon you. And if you are sick, diseased or afflicted, I pray that whatever the sickness, that pain, that infirmity, that it will depart from your body in the Name of the Lord Jesus. I pray for you to be well, to be sound, to be restored to health again and that you become normal and strong in the Name of the Lord Jesus. I pray for the little children and babies right now, that the anointing of God’s Spirit will come upon them. Wherever that child is right now, that is suffering from some affliction, I command healing for that body in the Name of Jesus. Thank you Lord. You can touch that child and proclaim health. Proclaim healing now, because the anointing is on you right now. The Spirit of God is present with you right there now. Touch the chest of that child. I see a child with a hole in the heart and the Lord is healing that child right now. I see a child with cancer in the eye, large growth and I command that cancer to die and pass out of that eye in Jesus name. Yes, be healed. Amen. Praise God. The anointing was just so strong, as I was praying for you. I believe a miracle has taken place. I want you to call on telephone or send us an email; let us know what the Lord has done for you. We would like to hear from you. I'll see you again. Until then, keep living in God’s dream. God bless you. 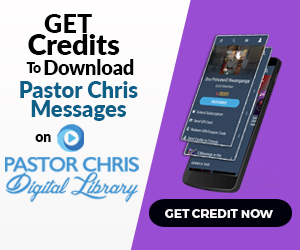 Thank you, dear Pastor Chris for your life changing messages. I pray that our good Lord will continually increase His grace upon you. I thank God for our man of God pastor chris, God bless you so much. You make God real to us not only in words but power also. Pastor please pray for me and my family. Thank you my father for when I listened to your sayings even in my dream, you came while singing and Carried my son and you cleaned him and you blessed me... NO SICKNESS, WEAKNESS IN MY FAMILY. Thank you my father for when i listened to your saying; in dreaming you came wile singing and Cary my son and you cleaned him and you bless me... NO SICKNESS, WEAKNESS IN MY FAMILY. Pastor please pray for my children Leboany and KATLEGO. Wow. What a life changing programme. Thank you Pastor, Sir for your deep love upon our lives. Thank you Pastor, and happy birthday!!! I really love this page. Thank you Pastor Chris. Hi Pastor we love you as a man of God not just a preacher, keep on keeping on. I love you, so does my son Joshua and Uganda loves you too. we pray for you. Hi Pastor we love you as a man of God not just a preacher, keep on keeping on, from those satanic deviations. I love you, so does my son Joshua and Uganda loves you too. we pray for you. Help me in prayers so that the Holy Spirit can direct me as I want to start the ministry. Thank you pastor chris I love you. Jude 1:20-21 speaks of the Trinity- praying in the Holy Spirit, the love of God (the Father), and the mercy of the Lord Jesus Christ. Praise His excellent greatness! 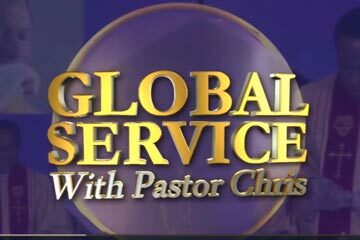 I wana thank you man of God pastor chris for your prayers on your sat.when you were praying on the tv the same night i received healing and deliverance i had a dream where you came to me and laid your hand on my chest and on my head you said you are free i woke up all i was feeling was gpne a sharp headache which lasted long and uneasy chest brokage.am free i love you so much pastor chris amd God continue using you.yoram chansa from zambia. I saw the miracles you performed in your videos. It has touched me and I admire the work you do. As a Muslim who wants to convert, how would I be able to practice Christianity? Thank you so much Pastor Chris for blessing my life. I love you so much. Who was jacob wrestling with in the bible?